Spending time with your family is important, but traveling with kids can be awfully stressful.We searched the interwebs and found some of the best sites with the best tips for family travel. 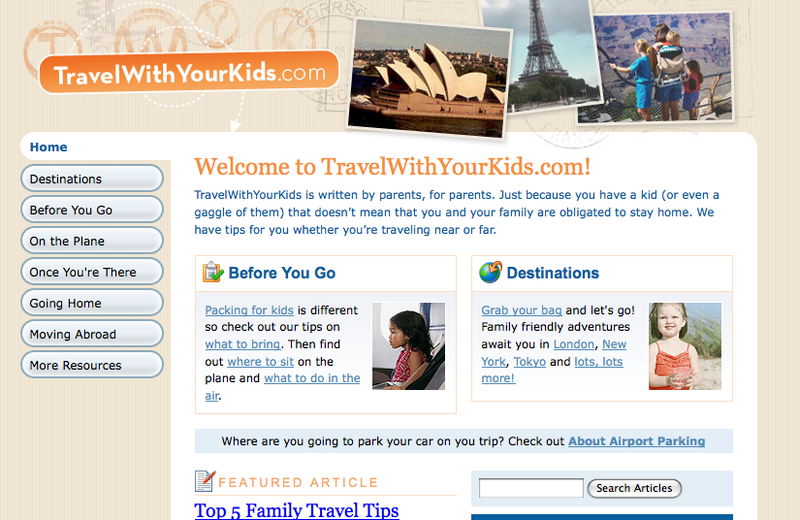 TravelWithYourKids.com has a ton of great tips and resources for, well… traveling with your kids. Everything from packing to how to pick your seat on a plane and how to pick the most kid-friendly destination and even tips on moving abroad. 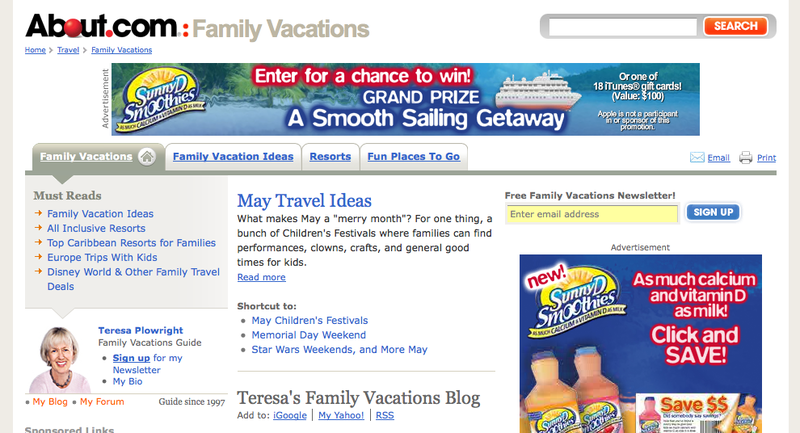 About.com Family Vacations: About.com is always a great resource and this topic is no exception. 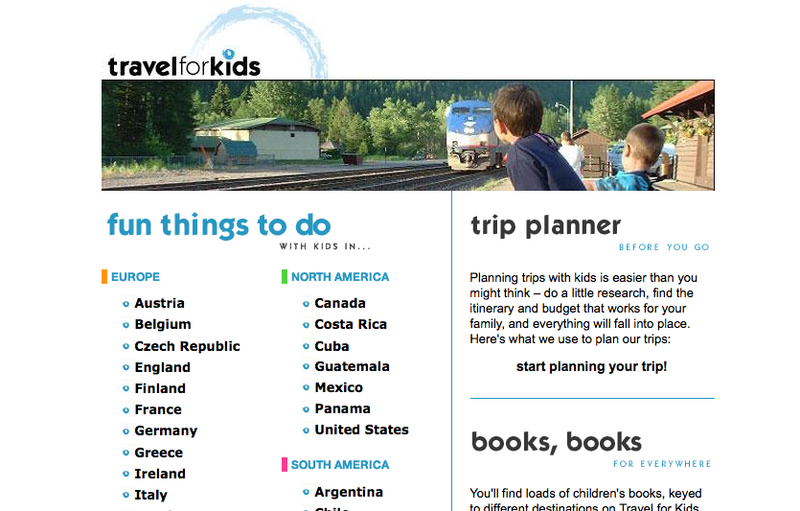 The expert guide, Teresa Plowright, provides ideas for kid friendly travel destinations, along with travel tips. Travel for Kids: Want to get some ideas about fun things to do with your kids in Germany? or how about Finland? Costa Rica?Ethiopia? This site has you covered! Lots of kid-centric tips and ideas. Traveling with Kids from the TSA: Getting through security checks at the airport is challenging enough for a single adult, but add kids to the mix and a even a sane parent can get quickly flustered and frazzled. 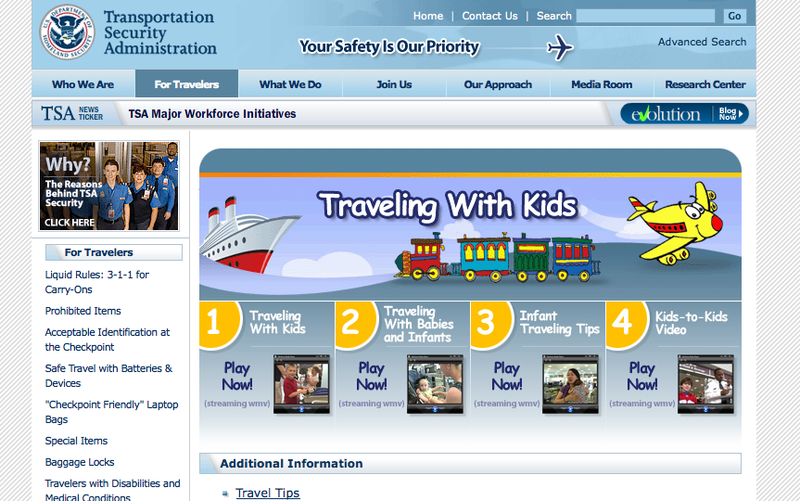 The TSA offers video tips on its Web site for making the process a little easier. Spend some time planning and enjoy your vacation with your kids. They’re only young once!